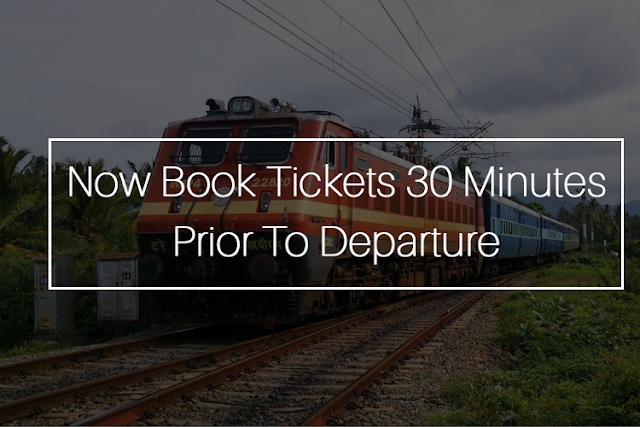 From November 12, you can book a railway ticket online 30 minutes prior to the departure of a train. Railways has also made changes in its system of preparation of chart, which would now be prepared twice. A senior Railway official said, First reservation chart would be prepared four hours prior to departure of a train while second and final one, 30 minutes before the train departs. ■ There will be no refund after the departure of train and one has to get the refund four hours before the departure, according to the new refund rules. ■ The revised refund rules will be effective from November 12. ■ While cancellation fee of of second class confirmed ticket in 48 hours before the scheduled departure of the train will be increased from Rs 30 to Rs 60, the third AC ticket will cost Rs 180 as against Rs 90 earlier. ■ The Second Sleeper class cancellation has been increased from Rs 60 to Rs 120, the Second AC has doubled up from Rs 100 to Rs 200, according to the notification. ■ For waitlisted ticket and reserve against cancellation (RAC), one has to avail the refund upto half an hour before the scheduled departure of the train and there will be no refund after that, as per the new rules. ■ Now, between 48 hours and 12 hours before the scheduled departure of the train, cancellation fee was 25 per cent of the ticket. ■ Earlier between 48 hours and 6 hours before the scheduled departure of the train, the cancellation fee was 25 per cent of the ticket. 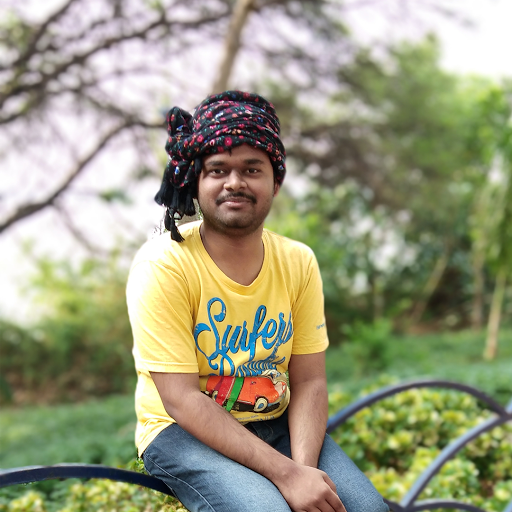 Earlier from 6 hours before the scheduled departure of the train and up to 2 hours after the actual departure of the train, cancellation fee was 50 per cent of the ticket. ■ However, revised rules stipulate that between 12 hours and 4 hours before the scheduled departure of the train, cancellation fee will be 50 per cent of the ticket. Rules were revised to discourage touts and those ticketing agents indulging in black marketing of tickets, said the official. 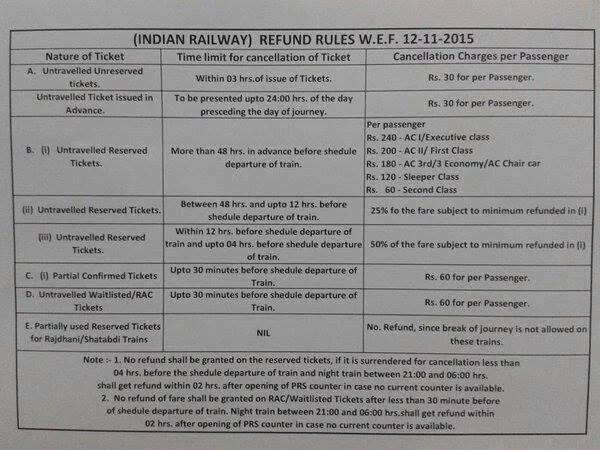 ■ Railways has also decided to enable certain unreserved ticket counters to allow refund of reserved ticket.